(September 30, 2014) – The full cast for the southern gothic, supernatural musical Ghost Brothers of Darkland County, was announced today, with actor/writer/producer Billy Burke (The Twilight Saga) and actress/writer/singer Gina Gershon (Killer Joe, House of Versace, Boeing, Boeing) playing the lead roles of Joe McCandless and Monique McCandless respectively. Touring across North America this Fall, Ghost Brothers of Darkland County was written by best-selling author Stephen King, with music by Rock and Roll Hall of Famer John Mellencamp, and musical direction by Grammy Award-winning T Bone Burnett. The tour kicks off right outside Bangor, ME at the Collins Center For The Arts in Orono, ME, on November 8, before travelling through cities such as Toronto, Chicago, New York, and Los Angeles. Due to overwhelming demand a second show has been added in San Francisco on December 6th which is now the final date of the tour. Ghost Brothers of Darkland County is a collaboration 16 years in the making, and blend of unique musical and staging styles. Throughout the production, the eerie blues ‘n’ roots music reveals the inner workings of the characters as opposed to just propelling the play’s narrative, with only a few songs directly advancing the plot. The haunting tale of fraternal love, lust, jealousy and revenge, begins with Joe McCandless reflecting on a past tragedy involving his two older brothers battling over a girl which ended in the unfortunate deaths of all three. Now with Joe as an adult and two boys of his own, he’s watching an all too familiar scenario play out before his eyes. With his sons at each other’s throats, Joe’s story will either save or destroy the McCandless family. 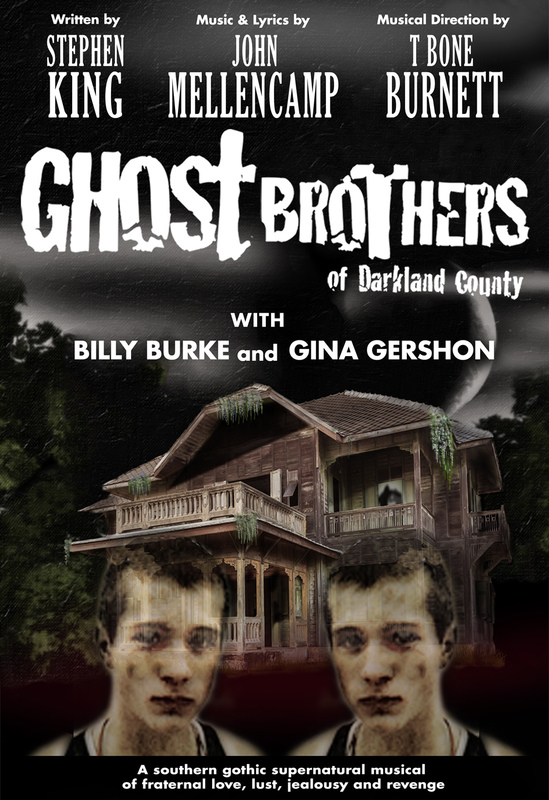 For ticketing information, please visit aeglive.com or http://www.ghostbrothersofdarklandcounty.com/.